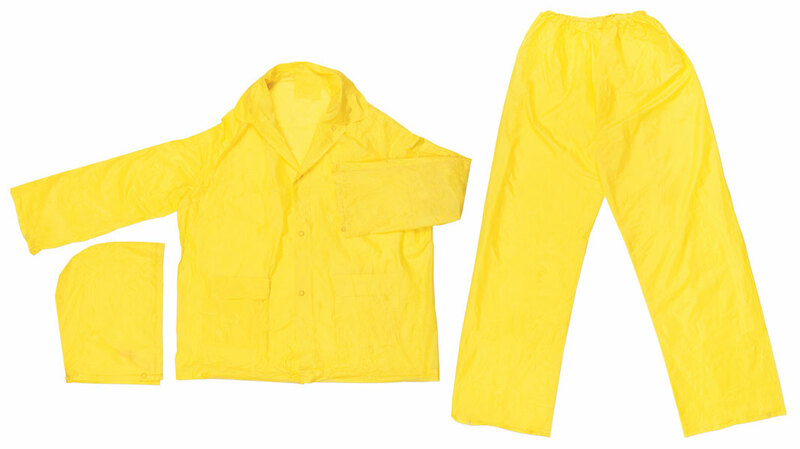 The Zodiac is a light weight complete rain suit that comes in a handy tote pouch. Put one in your pocket in case it rains while your at the game - or in your glove compartment for those sudden emergencies. This disposable suit is good for light splash protection as well. The O503 is made of a .10mm single ply pvc material and consist of a snap jacket with detachable hood and elastic waist pants. Here is your sign, wear Zodiac.